DJ J.Bear is a musician, dancer, and photographer, and is heavily involved in the salsa and banchata scene. 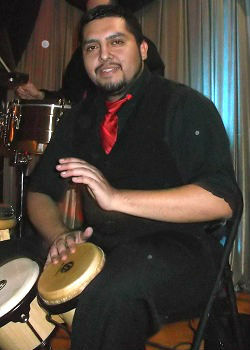 Raised in Bolivia, Juan has training in classical acoustic guitar, xylophone, and several native percussion instruments. DJ. J.Bear moved to the US when he was 16 years old, and has since began training as a salsa and bachata performer. Dj. J.Bear plays regularly at the “Bachata Conmigo” monthly social in Sacramento. He also DJs at special events throughout SF, Reno, Sacramento, and Modesto including the San Diego Salsa and Bachata Festival and the Reno Winter Bachata Latinfest and Showcase. Music and dance are his passion, lifestyle, and his world.